Sugarcane is the second crop of Martinique behind banana with 17% or 3900 ha of cultivated lands. Land area used by sugarcane is up by more than 20% over the past 20 years after several years of decline. This fast paced growth can easily be explained by Rhum agricole high added value and rising sugar prices on world markets. In 2017, Martinique produced slightly less than 210'000 metric tons of sugarcane. Fewer than 20% of the harvest went to "Le Galion" sugar refinery facility (39'000 tons to produce 1'944 tons of sugar and the equivalent of 9'600 hectolitres of pure alcohol of traditional rum). The remaining canes went to rhum agricole distilleries (to produce the equivalent of 86'700 hectolitres of pure alcohol). There are currently about 180 farmers growing sugarcane. Farms tend to grow bigger over time with over 50 ha producers accounting for 6% of overall farms while having almost three quarters of the cultivated area. The share of large farms is expanding as the number of farms decreased from 217 in 2006 to 180 in 2017. In martinique, as in any place where cane has been introduced, sugar cane truly represents the past sufferings from slavery. It is also an important part of what Martinique is made of. 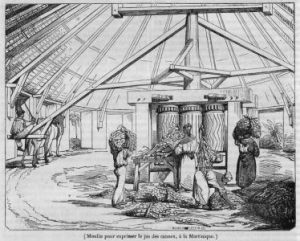 Sugar cane has been brought into Martinique as soon as 1640 to form a profitable crop by supplying sugar to the European markets. To remain competitive, the production cost had to be kept at its lowest. Sugarcane cultivation being a labour consuming crop, its workforce was soon and for long provided by slaves. The vast majority of today's Martinique inhabitants have slaves as ancestors. Sugar prices collapsed when war torn Europe switched to beet root sugar during the Napoleonic wars. Units were coinverted into rhum producing plants to restore profitability. This activity rapidly took over the sugar production. After a few years of price instability, World War I gave the rhum industry an unexpected chance to the West Indies producers. Martinique and other caribbean islands were tasked at replacing the mainland's production units destroyed by the war or occupied by Germans. 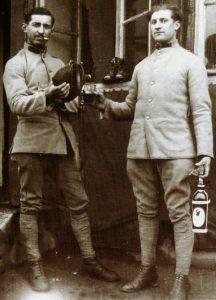 Rhum was deeply appreciated to boost soldier' s morale and was a much sought after ingredient for the production of explosives. At the end of World War I, Rhum accounted for 84% of Martinique's exports. Sugarcane was once again a profitable crop. After World War II, sugarcane cultivated areas were halved in 10 years, replaced by other crops such as banana. Industrial rhum production regularly loses shares and falls behind Rhum agricole production. This terroir rhum being unable to sustain the economic comparison with rum produced in surrounding islands and their low cost workforce, a choice was made to work on quality to develop a product worth its price. Product specificity started to be brought forward in advertisement to make the consumer aware of the differences between rhum agricole and its competitors. The first attempt to get the product certified by an AOC is made in 1975. It took more than 20 years of efforts to achieve the AOC recognition in 1996. Sugarcane became in the process the symbol of quality and a labelled production. Sugarcane fields have low water consumption levels, due to AOC requirements. The traditional Martinique landscapes are well aligned with curent environmental concerns. To coordinate research efforts on sugar cane, Ministry of Agriculture, and Economic Affairs for the overseas departments (DOM) created with a December 1952 decree a cross-industry structure of public service, the Technical Centre for Cane and Sugar (CSTC). This move was intended to restore the strengths of a declining industry. Sugarcane cultivated area was regularly declining and the whole industry needed modern tools and methods (tractors, machinery, fertilizers and herbicides) to cope with competition from other islands and countries. Research and development was also dearly needed to develop new crops and better cultivation and transformation techniques. 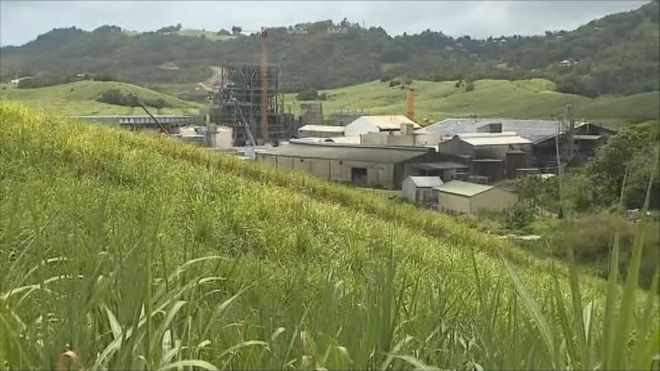 The Galion factory is the only sugar producing refinery in Martinique. Originaly founded as "habitation Le GALION" located at the mouth of the Galion river. Galion also produces traditional rum with the molasses, by products of its sugar activity. 61 of the 201 cane growers are providing their cane to the factory. Its intake therefore represents less than 40% of Martinique's total cane produce and does not provide enough cane to meet the local market needs. In 2016, the Galion factory produced 2291 metric tons of sugar de sucre - down by 20% compared to 2015. These levels of production are to be compared with the 60'000 metric tons that were produced every year in the forties by Martinique's then 13 sugar refineries. Since May 2018, the Galion refinery is sourcing its energy from the Albioma biomass fired power plant which burns bagasse. Connecting the refinery to the biomass power plant allowed decommissioning the refinery's boiler, which after more than 30 years of activity was reaching its limits. The Galion sugar refinery is located within the Trinité town limits (see map). Rhum production and more specifically AOC rhum agricole accounts for 21% of the martinique's agricultural GDP1. Most of it is sent to the French mainland and in its overall majority it's AOC rhum agricole. The Galion plant, a sugar producing facility produces molasse rum (locally called traditionnal rhum) from the by produced molasses. Rhum agricole production enjoys since 1996 an AOC "Appellation d'origine contrôlée Martinique" (Protected Designation of Origin). For many years, rum produced in French overseas regions (Martinique - Guadeloupe - Réunion - Guyane) have been awarded a special tax status by the European Community. This special tax status has been extented on June, 27 2007 for the years to come and the maximum volume of rum which can benefit from the tax exemption has been raised from 90'000 to 108'000 H.P.A. of which 33'000 H.P.A. for Martinique produced rums. Figures in hectolitres of pure alcohol (H.P.A.). The rhum activity is mainly focused on the export markets, outisde of the island. In 2010 79.2% of the rhum production was exported to French mainland and toher markets (mostly north America). Exportation to the French mainlands is protected by a special revenue scheme2. Exportation figures greatly fluctuate. 2009 registered a 14% decrease as 2010 recorded a 27% increase. However, over the 2000-2010 period, the trend is clear with an annual increase of exports by 2.7% and local consumption decreasing annually by 2.5%. The former Trois Rivières distillery (Three Rivers because of the three rivers that used to provide their waters to the distillery) has been transformed into a museum. ➁ source : Article 362 du code général des impôts.